Cookies & Toys T-Shirt Only $6.99! You are here: Home / Great Deals / Cookies & Toys T-Shirt Only $6.99! Proclaim the Grandmother anthem every time you wear this Tee! These are just 2 of the reasons your grandkids love you! 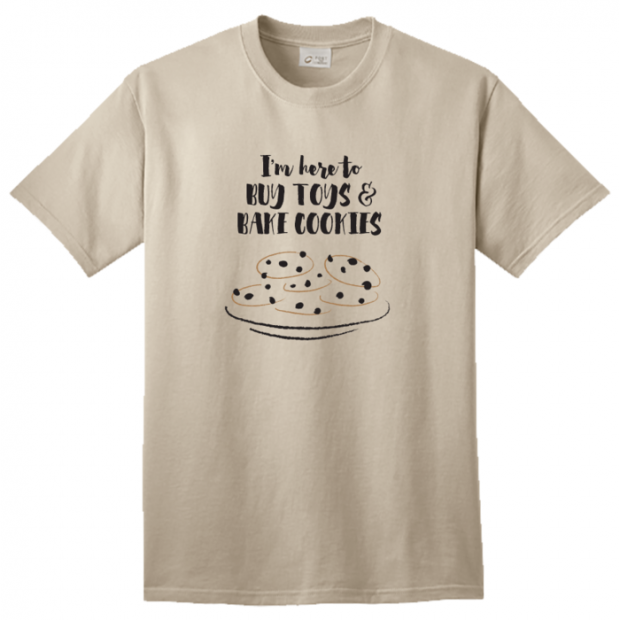 This Cookies & Toys T-Shirt is Only $6.99 plus $1.99 Shipping. Make it clear to your children that you are visiting to be the fun adult in their kids’ lives! Grab other great deals at Tanga!